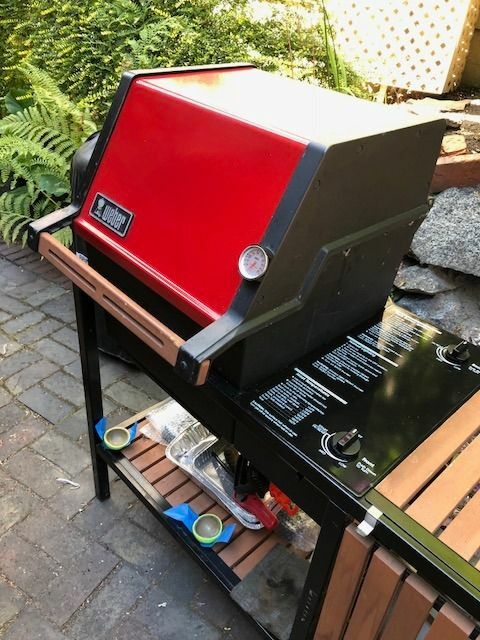 Found my unfindable...a Weber Junior/Jr. 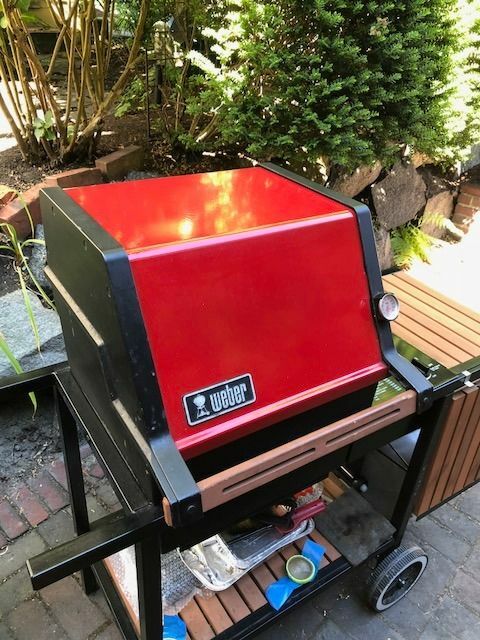 Thread: Found my unfindable...a Weber Junior/Jr. Like I stated, spray liberally, let sit and do it's thing, then rinse off with a strong stream. Oh...and don't get on your skin, it burns. Yeah, that's incredible! I thought you had media blasted those end caps. So what's your determination on the lid color? As I've stated before, I have a hard time understanding this color when I see it online in photos. I bought a spray bottle of that stuff per your recommendation but I have not used it that way. I will try this and report back! Where did you find it, JKim? I would try that out if I knew where to buy it. When I was looking to try and buy some I could not find anything close. If that is the right product it seems hard to find. I wonder how well it would work on the inside of a cook box??? I will be letting you know as soon as my bottle arrives. If as good as promised, I will promptly order a case. I like to to see that too. That would save a lot of work if it really works on the inside of the firebox. I agree, the guy with the Jr. looks like he knows his onions, he’s got a black 1000 for sale too. Fully restored, nice hobby of you have the space. I think I might just need to get a jug of that SuperDawn stuff! No skin contact, got it! Yah, but it it does work that well. It is well worth the $18. New to the forum and learning a lot. My first gasser is a Jr. I finally went to gas after a summer of not being able to use charcoal in my location. My two Weber 22" went sitting all summer. I was searching CL for a grill and came across a Redhead Jr. not far away - 150 miles -- for $40. I called the guy and he told me his mom used it about 10 times. After I saw the photos I believed it.There was some rust on the bars but everything else seemed fine. I recently upgraded the bars to RCPlane S/S and that has been about it. I realigned the ignitor and it works just fine. I recently picked up a Genesis 1000 Redhead and another 1000 for parts. I'm starting the restoration on it. Hopefully this weekend Ii'' sand all the wood and in thenext month get it back together. Here's a pic or Redhead Jr.